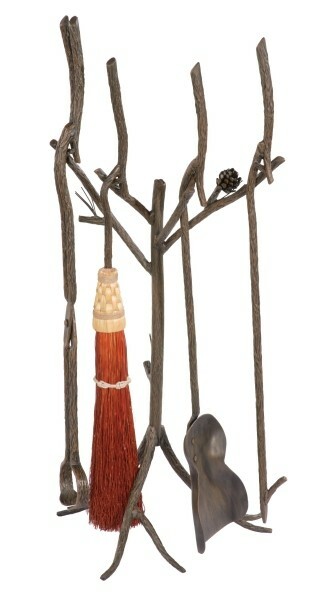 This Rustic Pine Cone Fire Tool Set has a natural bark finish. 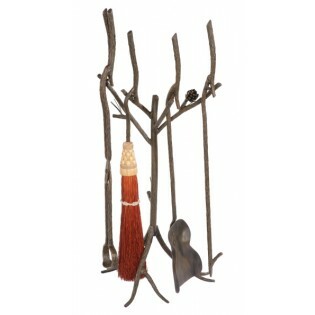 This complete fire place tool set includes a log poker, ash shovel, round broom and log grabber and stand. Size: 14" x 16" x 32"